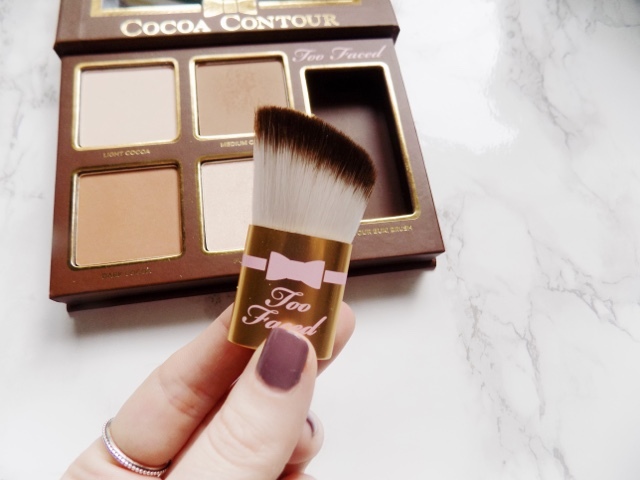 Too Faced have become well known for the chocolate scented makeup and this is definitely a fantastic addition to their range. Along with other contour kits, the idea is to enhance your natural features but also correct some of those blemishes we may have. 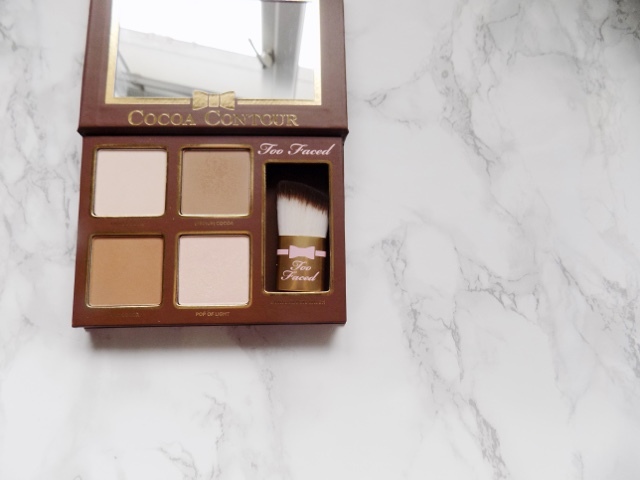 This kit has everything in one, including the Contour Buki Brush along with 4 powders - two matte contour shades, one matte highlight powder and one shimmery highlight shade. 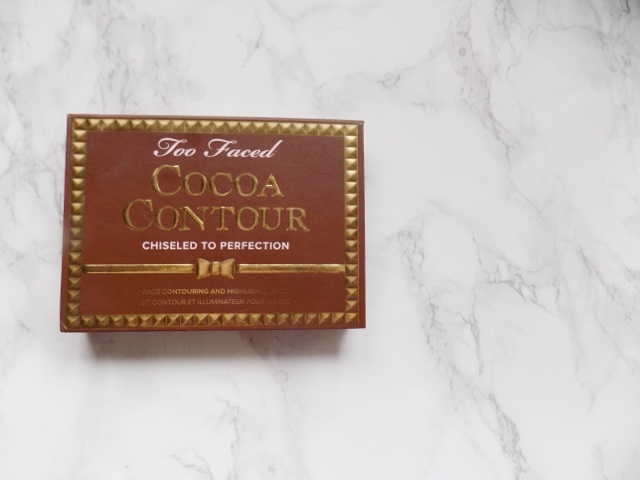 The contour powders, Medium Cocoa and Dark Cocoa are universal shades so you can mix them to create the perfect tone for your skin but the Medium Cocoa is the right mixture of cool and warm tones so my contour never looks flat or muddy. They're so soft and buttery that they are easy to blend and create a natural or a strong contour. 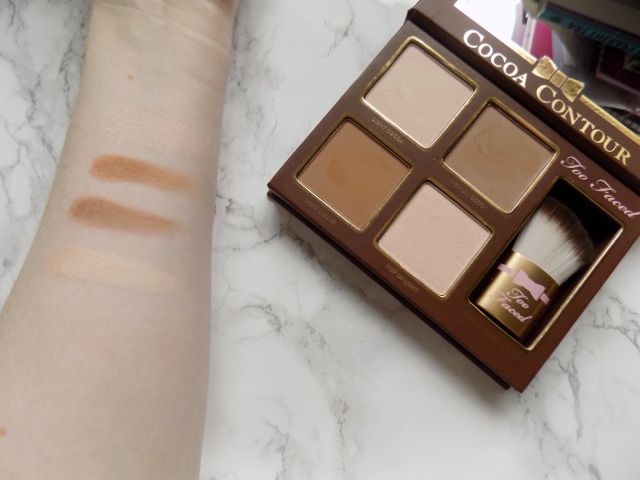 The matte highlight shade - Light Cocoa - is a great setting powder for your face and even under your eyes, although I have to use a light layer so it doesn't look too cakey or dry, but it can also be added into the mix to create a lighter toned contour shade. Although the Pop of Light powder which is the shimmery highlight, looks very pretty in the pan, when it goes onto the skin there are pretty large chunks of glitter which unfortunately you can't just flick off with your brush. It would be great if you were going out and wanting a super shimmery intense highlight but as an everyday kind of thing, it's not my jam. So this is how the powders look on my pale skin. 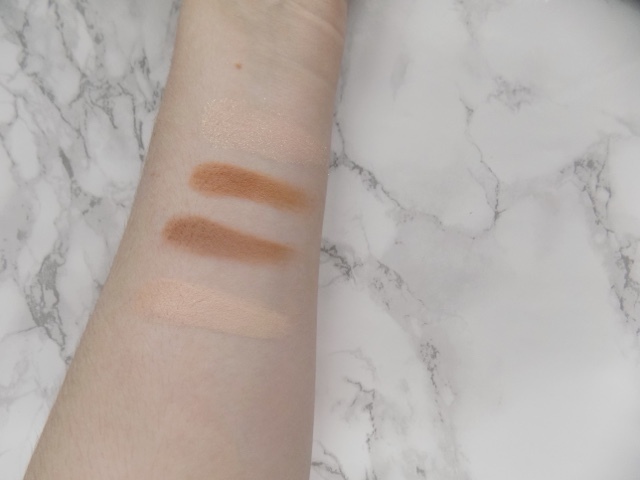 I am the lightest shade Chantilly in the NARS Sheer Glow Foundation and I am C1 in the L'Oreal True Match, so just incase you want a shade guide. 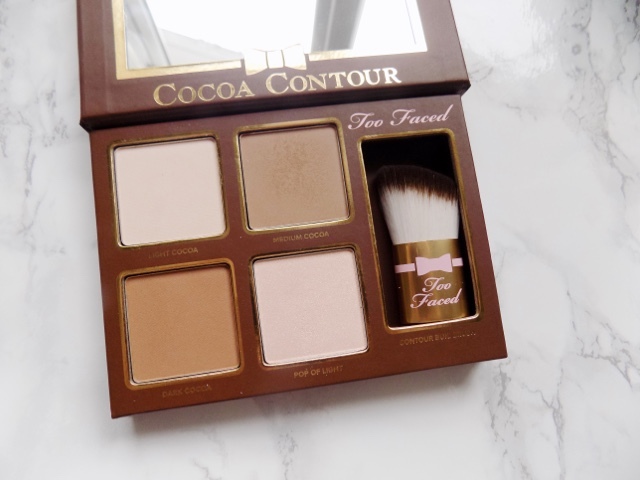 I have super fair skin and the medium powder is a perfect contour powder. I love this kit, the only thing that is a bit of a pain is availability in the UK but on their website it says it's £28 which means the powders are only £7 each which is an incredible value for money as something like the Maybelline Master Sculpts are £6.99 which I think is just great. Plus you get a free brush.